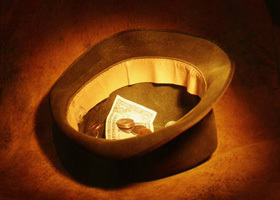 If you've been a real estate investor / developer for any length of time (combined 45 years for the Repka brothers), you certainly know how to "pass the hat" to pitch your deals at the local Country Club, Yacht Club, Rotary Club, etc. You learned the art of pitching your investment opportunities to friends, family and anyone within 3 feet of you to raise equity for your next real estate development project. As years went by, you baby-stepped your way from the early days when raising $100,000 of equity for a $500,000 project seemed like an astonishingly massive undertaking. Because you worked hard, treated your partners fairly and were honest, your initial investors told some friends and it became easier to raise equity. Pretty soon raising $2 million in equity for a $10 million project was in your comfort zone. Life was good... based on $2 million in equity you were able to borrow $8 million from your friendly banker over a gourmet lunch sealed with a handshake. Then 2008 happened! Lehman Brothers fell, the global real estate markets collapsed and the music stopped. Your friendly banker that was happy to wine and dine you with football games, steak and lobster dinners and freely tossed around multi-million dollar checks was thrown out on his ear by the FDIC and is now shuttling the kids to school and back while looking for a new gig. Now you're tapped out and so are your investors, but a tremendous opportunity has just come up that you need to act quickly on.... so what to do? 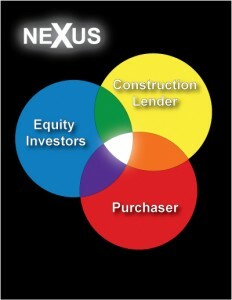 The focus of the Nexus Funding Platform is on the investment needs of our investment partners. We are seeking an alternative to buying 10-year Treasuries that yield 2%. Opportunities are crafted in the Nexus Platform to take maximum advantage of our abundant capital and mitigate the risk at every step of the way. According to Repka, "The best risk adjusted way to achieve compelling returns is to take some development & construction risk." "The best fit is a project sponsored by an experienced development team that builds single tenant or 'easy to understand' multi-tenant projects with tenants we like." Bison is focused on single transactions over $10 million or aggregation opportunities to build "cookie cutter" projects with the same tenant and development team. A basic guideline for tenant quality is tenants rated BBB- or better by Standard & Poors, but private, well-capitalized companies without public credit ratings will be considered on a case by case basis.